Select the reason for your visit. Choose a suitable date for your appointment. Enter your personal information and select wether you have visited this doctor’s office before or not. Confirm your request for an appointment by entering the received SMS-TAN. Please note that not all dates for online appointments are available. If you cannot find a suitable appointment online, please call 0308615603 or write a short email to info@praxis-grinfeld.de. In the case of acute pain, we will try to find you an appointment as soon as possible. 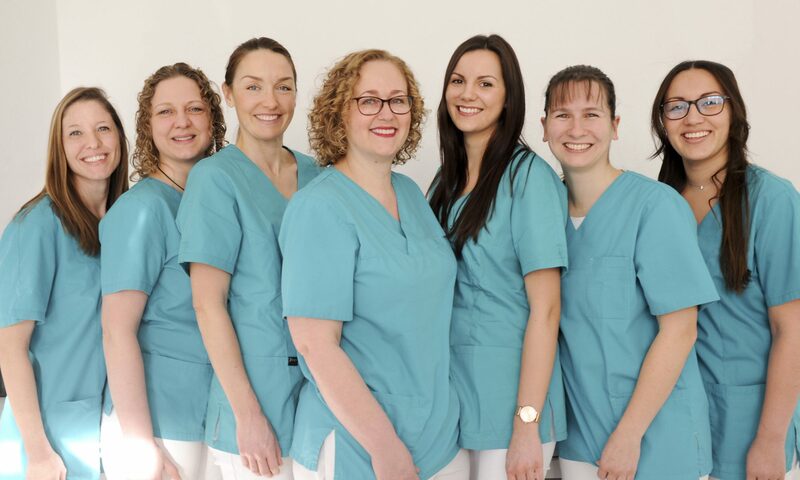 Dental hygiene appointments can only be booked directly in our office. Please call 0308615603 or write an email to info@praxis-grinfeld.de to book your cleaning.